We offer a full range of New Tampa property management services tailored to you as an investor, homeowner, or landlord. We have an extensive portfolio of single family homes, townhouses, condos, and apartments in the New Tampa area. New Tampa is an area in Florida that encompasses both a 24-square-mile area within the corporate limits of the City of Tampa, as well as a larger land area that is in unincorporated Hillsborough, but retains a Tampa mailing address. The incorporated portion of New Tampa that lies within the city limits of Tampa is one of the largest city neighborhoods. The area has grown rapidly since being annexed by the city of Tampa in 1988. Many new master planned residential communities are already under construction and are transforming this once rural area. 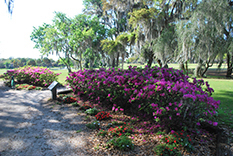 The oldest neighborhood in New Tampa is Pebble Creek, and the oldest area residing within the Tampa city limits is Tampa Palms. "New Tampa" may also refer to a larger area that includes the area described above as well as parts of Wesley Chapel, an unincorporated area that abuts Hillsborough County to the north.